Welcome to The Grout Medic. At The Grout Medic we believe in keeping things simple. Our promise to you is that we will bring your grout and tile back to life through the work we perform in it. We are a tile and grout cleaning company dedicated to delivering only quality results and customer service. Our brand and its reputation have been built over time on our skills in grout and tile cleaning, repair, sealing, color sealing, and tile replacement. These are our core competencies, and this is what we are trained and skilled to do at the highest level. When you contact The Grout Medic, you should expect proven and trusted experts who will know what they are doing, who will treat your home as if it were their own, and who will provide a level of customer service to delight you. From your first contact with our company, throughout the work, and every time you need us for professional tile and grout cleaning, grout repair, tile repair, grout sealing, tile regrouting, tile replacement, water damage repair and related tile & grout contractor services, our focus will remain making the spaces on which we work, once again, beautiful. Our Franchise’s are trained grout professionals that represent us in areas around the country. For skilled, professional grout and tile services, in your area, please visit the location’s page. We use eco-friendly vapor technology to eradicate stubborn dirt, mold, and mildew from your grout. After our cleaning service, we protect your grout by applying clear penetrating sealers. Color sealing gives your wall or floor a new look with a color-penetrating seal that removes stubborn stains. 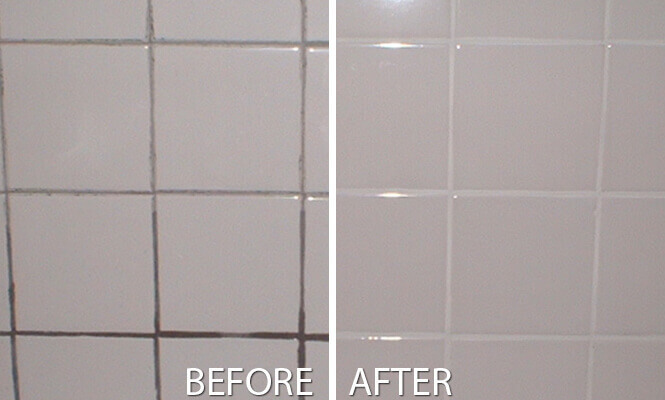 We remove the old grout and replace it with a new one for a fresher look. Our team applies watertight seals between tubs, countertops, and shower seams for protection against mold and fungi. We secure loose tiles while making the surface structurally sound to prevent costly replacements in the future. Our professionals remove and replace broken and old individual tiles to make the necessary grout repairs. We repair water-damaged areas behind tile surfaces to protect your family from health risk associated with mildew and mold. OR CALL 1-866-994-7688 TO SPEAK TO SOMEONE FROM A LOCATION NEAR YOU.